Good evening my crafting friends! 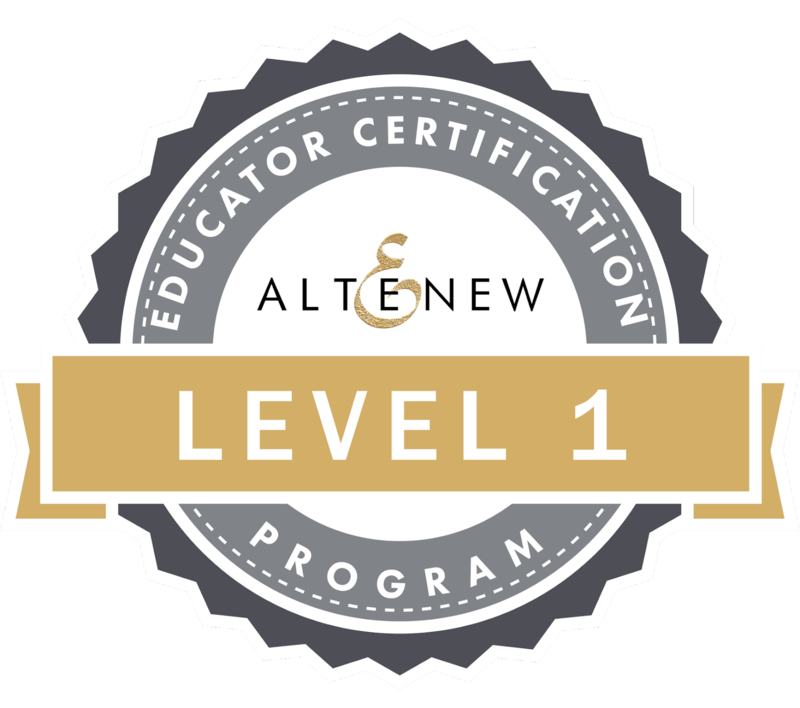 I finished another class for the Altenew Educator Certification program last week. With a few extra days off I was able to come up with a card design for my next submission. The class is called All About Layering 2 and is basically a continuation of the first class. It provides many helpful tips on how to get perfect alignment for several more Altenew sets. I have found this is making me itch to add to my collection of Altenew stamps! Dangerous side effect! There were several lovely examples of the cards in use and gave me a springing off point for creating my own design. I had so much fun making this card! I know that the Garden Hydrangea set has lots of great layers to use but I wanted to see what I could do without using the other layers. I decided to use alcohol inks to try and create the look of hydrangea colors. I love how hydrangeas come in various shades depending on your soil acidity. 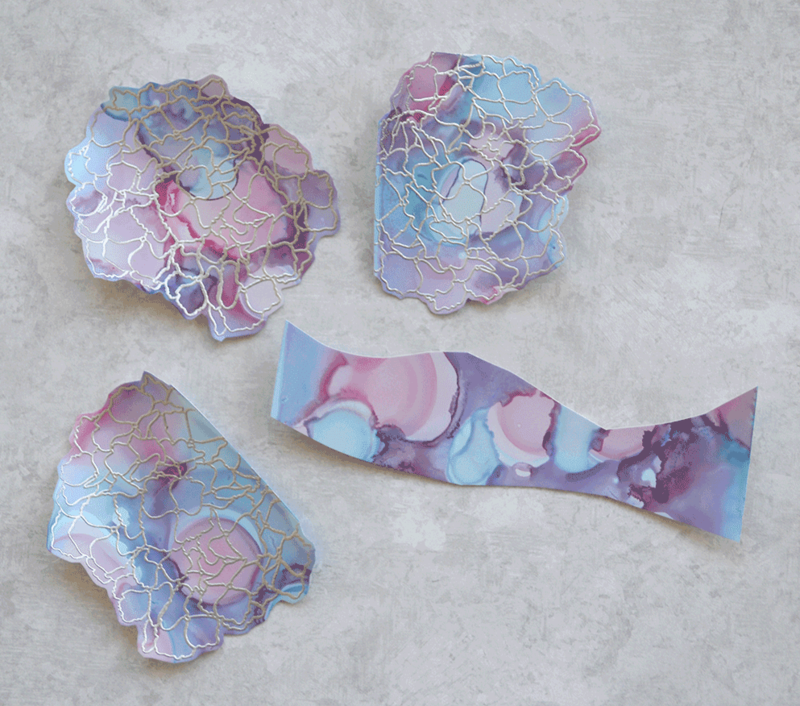 I picked out Pink Sherbert, Cool Peri and Cloudy Blue alcohol inks. I grabbed a piece of Yupo, alcohol blending solution and my colors and went to town! I forgot to take a picture before I cut things up but here's a partial image to give you an idea. I set this piece aside to dry and moved on to a piece for the leaves. For this piece I used Bottle, Meadow and Pistachio. Once both of the colored pieces were dry I stamped the flower and leaf outlines onto the Yupo with Versamark ink. 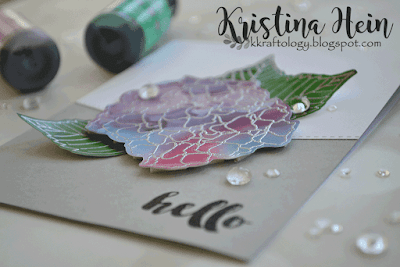 Then I sprinkled on silver embossing powder. I wasn't entirely sure you could heat emboss on Yupo since it is plastic. The most important tip is to preheat your heat gun! I very carefully melted the embossing powder moving my heat tool around frequently. Side note--this will make the Yupo paper curl. You can fix this with a liberal application of a strong adhesive or you can let the curl work for you as I did with the leaves. I don't have the matching dies for this set so I cut out all my pieces by hand. On to the card base. I cut a white piece of paper down to a vertical A2 size. The front flap I cut about half way down with a shaped and stitched edge die. I cut a gray piece of cardstock to A2 size and adhered it behing the cut card front flap. Why didn't I just make it a gray card and add a piece of white? Well, I had a different plan that didn't quite work out but I didn't want to waste my paper! I played around with my flower and leaves until I was content with the layout. The top green leaf is glued down entirely to the card base. The green leaf the overlaps it only has glue on about the bottom 3rd. 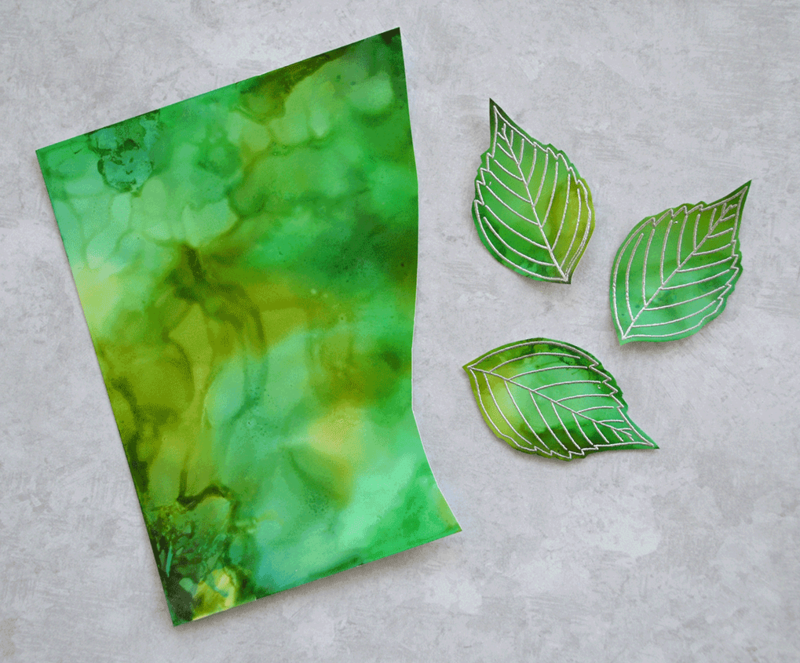 This lets the leaf still curl up to give it more dimension. The third leaf is also glued just on a portion of it. I did not want my hydrangea flower to be all curled up so I liberally applied many pieces of foam tape. I adhered this on top of the leaves. From the same stamp set I stamped the hello sentiment with black Versafine ink, sprinkled clear embossing powder over the top and melted the powder. For my finishing touches I add some clear crystals and clear bubbles that look kind of like dew drops. I glued them in place with Glossy Accents. It's so awesome that you share your creative process! The grey card stock compliments your design fabulously! I, too, love using alcohol ink for Hydrangea image as well! Thanks so much for entering your beautiful work in Altenew AECP assignment Gallery. I love your write-up and descriptions! Please keep up with your excellent work! Thanks so much Virginia! It was a lot of fun to create!